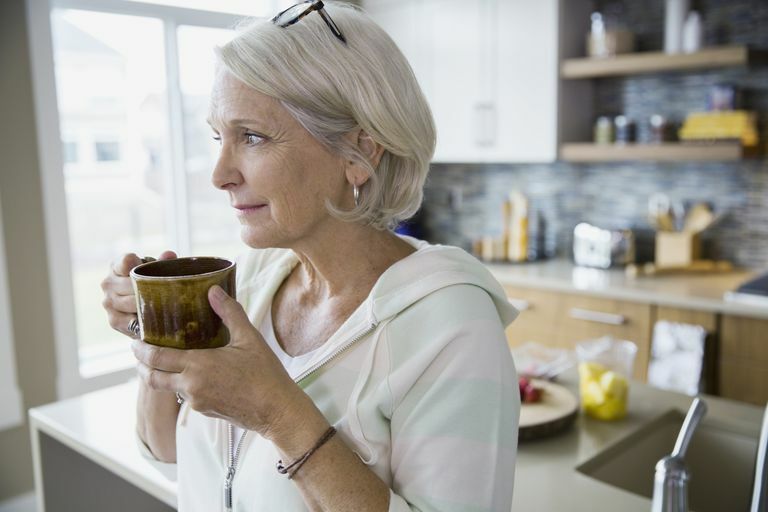 If you've ever known someone who wanted desperately to retire, only to have fallen ill immediately afterwards, you might have wondered whether leaving work is actually bad for you. In fact, there's scientific evidence that health can decline significantly after retirement. A 2008 study from the Greek participants in the multinational European Prospective Investigation into Cancer and Nutrition (EPIC) found that waiting an extra 5 years to retire coincided with a 10% drop in mortality. The paper, published in the American Journal of Epidemiology, concluded that early retirement may be a risk factor for cardiovascular death in particular. Here's a look at why the body and mind might suffer in post-work life. The most obvious way retirement may adversely affect health is by reducing income. Whether you're laid off before you've had enough time to save adequately for your retirement years or your savings plan has suffered in a weak economy, having less money to live off of can limit your quality of life. You may have less money to spend on nutritious food to keep you aging well, or have fewer resources to get adequate exercise. Financial stress can increase your body's production of the stress hormone cortisol, an effect which has been harm overall longevity. A 2015 report published in the American Journal of Preventive Medicine showed the effects of job loss and financial pressure on middle-aged Americans can be tragic. Suicide rates among those between the ages of 40 and 64 rose from 2005-2010, with the proportion of suicides attributed to financial stress and job loss rising during tough economic times from 32.9% to 37.5% in the same time period. When a daily job ends, your social sphere may shrink. If you don't have strong family ties or close relationships with friends, you may feel isolated and alone, neither of which fosters the social connectedness which contributes to greater longevity. Even just having a job to go to each day, with its own schedule and expectations, provides structure to what used to be a "work week". Many people define themselves in terms of their responsibilities and title at work. Leaving the prestige, authority, and self-definition along with the day to day duties of the job can be challenging. Since we often measure our value in society by the responsibilities of our employment, it can be tough to go from saying "I am ...", or "I do ... " to "I used to be...". Likewise, many adults feel that their job or profession provided them with purpose and direction, and a profound sense of contributing to society. Without a finite work commitment, they may perceive they're no longer "playing their part". Finally, leaving a traditional job closes a chapter in life. You may grieve this milestone of aging as a sign that there are few opportunities ahead. Clearly, leaving the workplace can bring health benefits as well. If your job was demanding, left little time for outside interests and created stress in other parts of your life, then your emotional and physical wellbeing is likely to improve if you no longer work there. Not surprisingly, according to a 2010 study published in The Journals of Gerontology Series B: Psychological Sciences and Social Sciences, adults whose former jobs interfered with family life reported better emotional wellbeing (and less depression) after retirement. However, men fared better than women in this research, with the female subjects reporting that leaving work did not relieve family life burdens. Fewer sources of work-based emotional support for women were cited as possible causes of this gender gap. Who Copes Best With Retirement? While financial preparedness is a significant component of a healthy retirement, even adults with substantial pensions or savings may struggle with the transition. Generally those with a positive view of aging in general, and an ability to cope with change will fare the best. One of the simplest ways to get yourself emotionally ready for retirement is to try it out in phases. Wean yourself off work by negotiating a part-time solution, either at your current workplace, as a consultant in your industry, or just in a different job with fewer hours each week. Actively seek out interests, hobbies and volunteering opportunities to keep your mind engaged, your social contact high, and sense of optimism strong. It's a great time to reexamine your lifestyle to make sure it's as health-promoting as possible. Remember that daily habits like mindfulness meditation can also help you weather change, and boost your resilience in this new phase of life. Bamia, C, Trichopoulou A, and Trichopoulos D. "Age at Retirement and Mortality in a General Population Sample: The Greek EPIC Study." American Journal of Epidemiology. 2008;167:561-569. Cornwell, Erin York and Waite, Linda J. "Social Disconnectedness, Perceived Isolation and Health Among Older Adults." J Health Soc Behavior 2009 March;50(1): 31-48. Coursolle, ,Kathryn M, Sweeney, Megan M, Raymo, James M and Jeong-Hwa, Ho. "The Association Between Retirement and Emotional Well-being: Does Prior Work–Family Conflict Matter?" J Gerontol B Psychol Sci Soc Sci. 2010 Sep; 65B(5): 609–620. Hempstead, Katherine A and Phillips, Julie A. "Rising Suicide Among Adults Aged 40-64 Years." American Journal of Preventive Medicine 2005. Published online February 27, 2015.